The MCP6SX2 PGA Photodiode PICtail™ Demo Board features a PNZ334 photodiode, MCP6001U op amp, and MCP6S22 and MCP6S92 Programmable Gain Amplifiers (PGA). 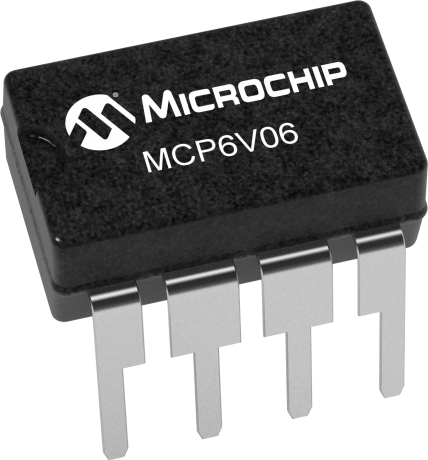 The MCP6V01 Input Offset Demo Board is intended to provide a simple means to measure the MCP6V01/2/3 op amps input offset voltage (VOS) under a variety of bias conditions. This VOS includes the specified input offset voltage value found in the data sheet plus changes due to power supply voltage (PSRR), common mode voltage (CMRR), output voltage (AOL) and temperature (IVOS/ITA). This board supports the capacitive humidity sensor application note AN1016. It measures the capacitance of a relative humidity sensor plugged into the board. The on-board microcontroller sends the measured and calculated relative humidity (RH) to a PC for display.